Members: Don't forget your 2019 dues are now due. Check out the membership page for more details. Check out the latest issues of K8TKA Resonator! See here for past issues. 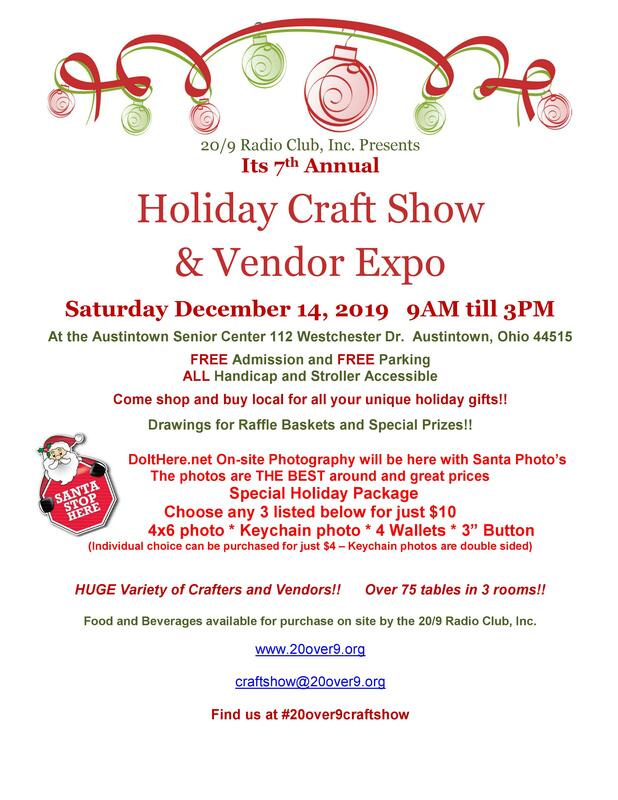 Information about the Twenty Over Nine Holiday Craft Show is now posted. 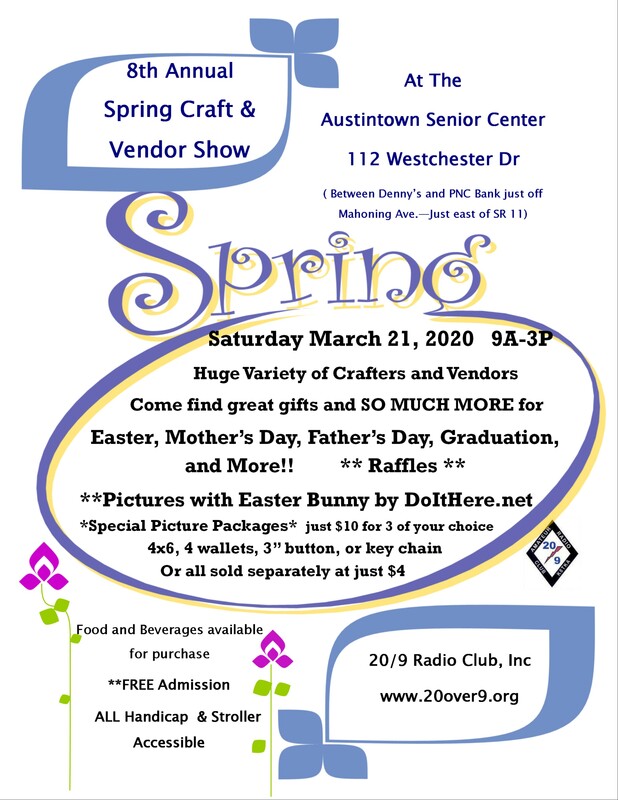 Information about the Twenty Over Nine Spring Craft Show is now posted.